Need to do some self storage of your household goods for a while? Why use self storage? 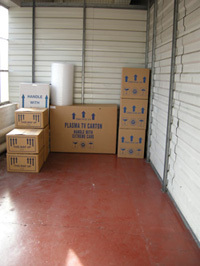 There are a number of reasons to use self storage, whether for domestic or business use. Moving house? Need to temporarily store furniture? Are you are renovating or decorating your home and need to keep household possessions safe? Are you moving abroad and want to store your valuables during the move? When you don't have enough space at home anymore or want to use that spare room for something else!